eircom Business Solutions has awarded a total of €101,535 in funding to 10 Irish companies in the second and final round of its Digital Boost initiative to support innovation and growth in their business through investment in digital solutions. This brings the total awarded under eircom Business Solutions’ 2015 Digital Boost seed fund to €250,160. In total, 27 companies secured funding under the initiative, which is designed to offer tangible assistance to the SME community in four key areas: business mobility; digital training; sales and marketing; and business productivity. The Little Milk Company, a Waterford-based organic diary co-op, was one such company to secure funding in the second round, receiving over €10,600 in digital solutions including tablets with 4G access for all staff, a Google Export Markets workshop and, mobile app development and support. 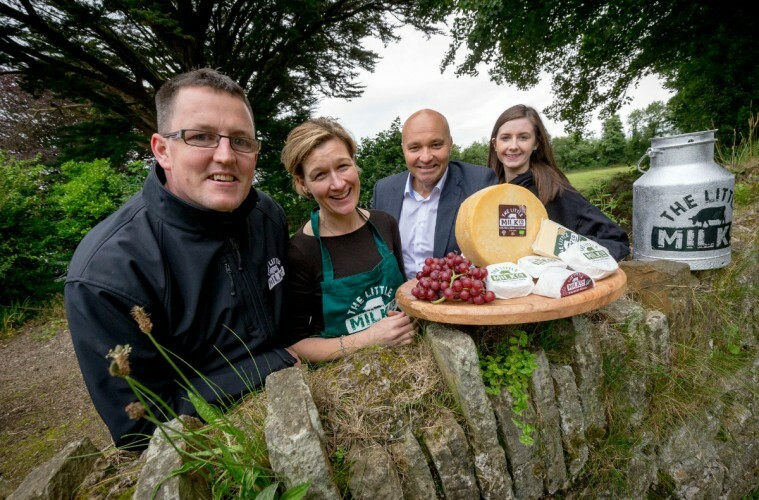 Based across Munster and Leinster, The Little Milk Company is owned by ten organic family farmers and produces award winning 100% organic cheese. The company currently sells its products in retailers across Ireland and exports to seven markets around the world. In order to build on this success, the company believes that it needs to enhance its marketing to engage with customers and build greater brand awareness in a crowded market. eircom Business Solutions partnered with Google, PayPal, Samsung, The Digital Marketing Institute, Isobar and Salesforce as part of this initiative to deliver a suite of digital funding to a total of 27 successful applicants, 17 in Round one and 10 in Round two.